Call 702-462-9200 for immediate answers on how Bail Bonds work. A Bail Bond is like a check that is written by the Bail Bond Company and given to the court. This check is usually guaranteed through a cosigner. The amount on this check is the full amount of the Bail. This check guarantees that the Defendant will go to all the court dates. Once the Defendant goes to all the court dates the court will give the check back to the Bail Bond Company and the Company in turn will release the cosigner from its liability. If the defendant misses a court date, a warrant for their arrest is issued and the court will set a date to cash the check. To fix this situation either the Bail Bonding Company, an Attorney or the defendant themselves can go to the court and ask for a new court date. Once the defendant goes to the new court date the warrant will be quashed and the date to cash the check will be stopped. In essence the cosigner is responsible for the full amount of this check. If the defendant disappears and is never found again the cosigner will have to pay the full amount of the check to the court on the date that the court set. Online Bail Bonds in 3 minutes or less. 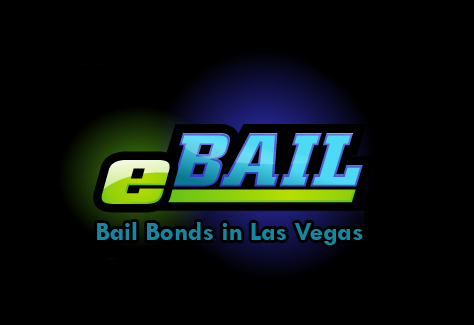 eBAIL services the greater Las Vegas area including Summerlin, Green Valley, Henderson, Spring Valley, North Las Vegas and also out of State. Next post: Need to get Bailed out of Jail?